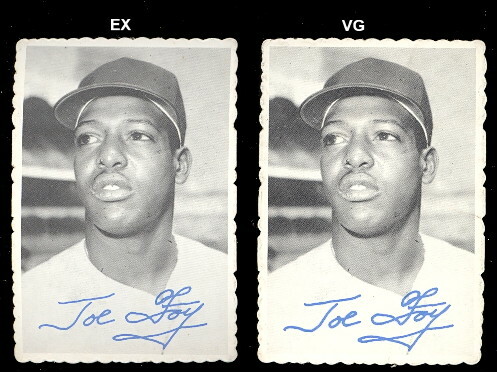 These 2-1/4" by 3-1/4" inch cards take their name from their interesting borders which have a scalloped effect. 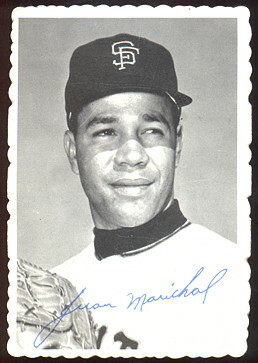 The fronts have a black and white picture of the player along with a blue facsimile autograph. 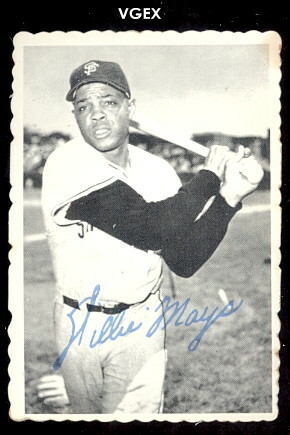 Backs have the player's name and the card number in light blue ink in a small box at the bottom of the card. 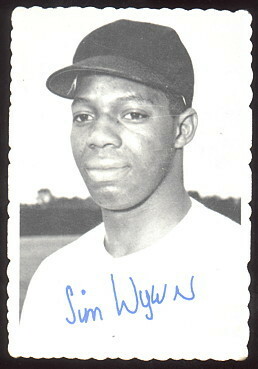 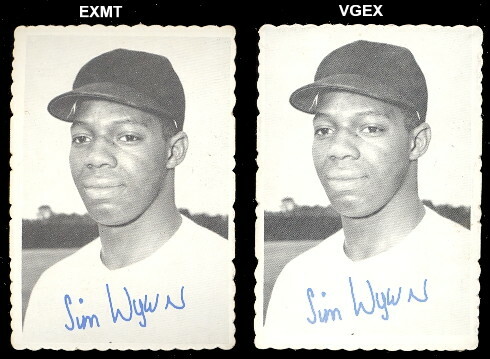 Technically, there are only 33 numbered cards, but there are actually 35 possible players; both Jim Wynn and Hoyt Wilhelm cards are found as #11 while cards of Joe Foy and Rusty Staub can be found as #22. 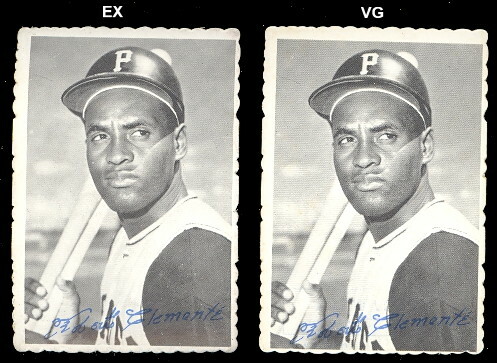 Many of the players in the set are stars.